It’s no coincidence that river cruising continues to boom as Baby Boomers expand on their collective purchasing power. The last of the Baby Boomer generation reached 50 in 2014, and today, this generation comprises the most powerful consumers in the marketplace. Baby Boomers are 77 million people strong—and they outspend other generations by an estimated $400 billion each year on consumer goods and services, according to the U.S. Government Consumer Expenditure Survey. And while some of their priorities might vary, if there’s one thing Boomers do agree on, it’s the importance of spending money on travel. AARP’s 2016 Top Travel Trends found that an astounding 99 percent of the Baby Boomers they surveyed intended to travel this year, with 45 percent expecting to take an international trip. Reinforcing this finding, British Airways recently surveyed over 2,000 U.S. Baby Boomers (55 and over) and discovered that not traveling enough is one of the biggest regrets for one-fifth of the respondents when thinking back on their life so far. “Generational values tend to be persistent through time, and the desire for adventure and learning have been in existence since this generation was in its formative years,” says Brent Green, a writer, speaker and trainer about marketing to the Baby Boomer generation. 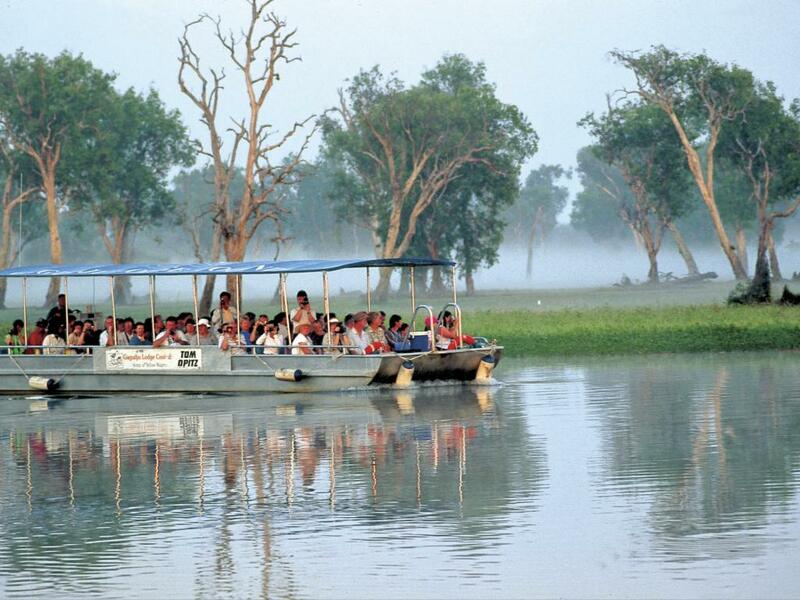 The journey itself is the experience on a river cruise, with cities and towns strung like pearls along the waterways. Europe is usually the first destination people choose, but as Patrick Clark, the managing director for Avalon Waterways calls it, the “river cruising travel style” is available around the world. That makes river cruising a great repeat option for travelers, with an ever-growing array of possibilities. That’s one of the reasons river cruising has become the travel industry’s fastest-growing segment, with double-digit growth last year. Overall, it’s now one of the top three international travel destinations, up from #4 in 2015, according to a Travel Leaders Group survey this summer. The trend is even stronger among well-heeled travelers, with river cruising cited as the top travel trend (along with multigenerational travel) in the 2016 Virtuoso Luxe Report, sponsored by the international network of luxury travel agencies. Trish Mercer, a home-based Virtuoso travel agent in Columbus, Georgia, touts the ease of the travel experience as one reason that river cruising is “absolutely, positively going up” in popularity. “There’s almost always something interesting to see while you’re sailing, and then you pull up to shore and have the opportunity to be involved in things right away,” she says. Mercer’s experience is echoed by travel agents who participated in the third Travel Agent Cruise Industry Outlook Report of 2016 by Cruise Lines International Association (CLIA)—more than six out of 10 (64 percent) expected to sell more river cruises this year. Baby Boomers are looking for all that and more. Here’s a look at five major trends in river cruising that Boomers are seeking out in their travel. First and foremost, travelers crave the unknown, and that makes discovering unique places the No. 1 must-have experience among Virtuoso’s Top Travel Trends for 2016. It’s not hard to see the appeal for explorers when simply sailing down a river is such an ongoing sensory treat. “They’re interested in the scenery and what’s passing before their eyes constantly,” says Mercer. Another must-have reported by Virtuoso’s travel advisors is the quest for experiential travel in order to create the unforgettable memories travelers are looking for from a vacation. “Baby Boomers want to take a much deeper dive into a destination,” says Green. An important part of creating meaningful memories comes from sharing those experiences with the people you’re closest to. Though river cruising has been traditionally considered a couples’ vacation, there’s been a recent rise in multigen travel on river vessels. To meet the demand from cruisers, more adventure excursions are being offered as part of the experience, whether it’s going for a horseback ride over the hills or canoeing down the river. The ease and convenience of sailing to multiple destinations along a river, without having to pack and unpack or deal with different hotels and transportation, is very appealing to Boomers. They want something new and exotic without a lot of the stress and inconvenience associated with traveling. River cruising suits that desire—it’s like staying in an intimate boutique hotel that floats from one destination to the next, making it an independent but controlled experience. Inventory for Empress of the Seas will not be released a few months at a time in 2017 as it has been in 2016, Royal Caribbean International president Michael Bayley said on Friday. The Empress has been sailing short itineraries to the Bahamas and the Caribbean since it returned to Royal Caribbean’s fleet in June. It had been renovated at a cost of $50 million with the intent to use it on itineraries to Cuba. 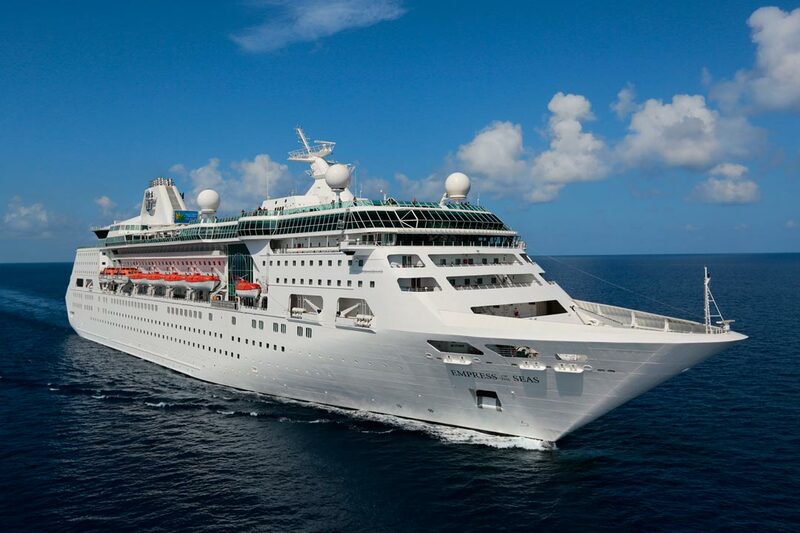 However, Royal Caribbean has yet to gain approval from Cuban authorities to begin those cruises. “We really were holding it late and hoping for the itinerary change,” Bayley said during Royal Caribbean Cruises Ltd.’s third-quarter earnings call. With cabins available only a few months ahead of time, travel agents have difficulty making group bookings that typically require longer to organize than individual ones. Empress cruises are currently available through April 2017. Royal Caribbean was also delayed in launching the Empress into Caribbean service by unexpected construction obstacles after the ship was returned from Royal’s Spanish subsidiary Pullmantur. During the call, Royal Caribbean said projected earnings in the current fourth quarter have been pared by an estimated $13 to $15 million by the delay in getting Empress sailing again and the resulting lost sales momentum. For the third quarter, RCCL reported net income of $693.3 million on revenue of $2.56 billion. Results are not directly comparable with last year’s third quarter because of a huge write-down on Pullmantur. Executives said the company is in a better booked position for next year than it was last year at this time, with both loads and pricing ahead of pace. North American demand for Europe is returning in the absence of recent terrorism incidents, they said, although Europe will account for 15% of Royal’s overall capacity in 2017, down from 20% this year. The Caribbean will rise to 50% of overall capacity with the addition of Harmony of the Seas, which will not sail in Europe next summer as it did this year, and the shift of Celebrity Equinox from Europe to the Caribbean year-round. After a pause in bookings following Hurricane Matthew, Royal Caribbean began some promotions to restart consumer demand. The latest marvel of the MSC fleet, MSC MERAVIGLIA, just floated off the coast of Saint-Nazaire as this mega ship reaches the final stages of construction before she sets sail for exotic locations. The float out ceremony was the perfect occasion to reveal the name of the next MSC Cruises sensation, MSC BELLISSIMA. Announcing MSC BELLISSIMA, the latest jewel in the MSC fleet, was not only cause for celebrations, it demonstrated MSC’s commitment towards its business expansion plan, which includes the building of 11 more luxury liners as well as a constant and extensive modernization of its current fleet. On September 3rd, STX France and MSC Cruises focused their energies on the floating out of the newest ship, the MSC Meraviglia. This fantastic event was further enhanced when MSC Cruises’ CEO, Mr Onorato announced the name and launch date of the next ship, MSC Bellissima, coming into service in 2019. The name, Bellissima, which means “beautiful” in Italian, says it all. But Gianni Onorato, , commented that the ship’s new features and amenities have all been specially designed to meet the needs of guests of all ages from toddlers through to adventurous grownups. As well as Bellissima it is also “grandissima” (very large indeed)! An impressive 315 meters long and 43 meters wide, with a gross tonnage of about 167,600 tons. It boasts 2,250 cabins for guests, and nearly 820 crew cabins, accommodating 5,700 passengers and 1,536 crew members. MSC Bellissima will be the fourth cruise ship to be built in the STX France shipyards since the 2014 expansion plan began with a total planned commitment of €9 billion. For the remaining ships, delivery is planned between 2019 and 2026. This expansion, which began two years ago, will not only triple MSC Cruises’ fleet but will introduce a whole new category of next-generation ships into the world of cruising. MSC Cruises’ dedication to providing their guests with the best possible cruising experience is reaffirmed both by the grandeur and elegance of the ships themselves as well as the attention to every last detail. All MSC Cruises ships offer infinite possibilities of entertainment. Infinite dining options, both in terms of location and choice of cuisine, panoramic spaces, amusement parks, colossal theatres, aqua parks, arcades, enclosed promenades and all around sun decks are just come of the amazing features that make these ships a destination in their own right. Not forgetting special family cabins and the “extended” MSC Yacht Club, the entirely self-contained ship within a ship on the prestigious foredecks that will now offer its guests a vast solarium, a private lounge and restaurant as well as duplex suites. MSC is also breaking new ground in technological implementation to enable guests to make the most of their cruise by being constantly informed of events and special offers, all in real time. Thanks to a strategic partnership with Samsung, all ships will be equipped with new generation technology, from interactive displays to mobile solutions to augmented reality. Furthermore, near Field Communication (NFC) and iBeacon technology will allow one to one communications using cruise cards, bracelets or smartphones. With such exciting new. modern ships, cruising will never be the same again!